US President Barack Obama (L) meets with Saudi King Salman bin Abdulaziz Al Saud at Erga Palace in Riyadh on April 20, 2016. Ever since Saudi Arabia’s King Abdul Aziz Ibn Saud was hoisted atop his gilded throne onto a U.S. warship in 1945 to meet Franklin D. Roosevelt, every American president has journeyed to the region to nurture one of Washington’s most crucial relationships. Saudi financing of jihadist groups. Weak participation of wealthy Gulf countries in fighting ISIS. Low oil prices, which have badly damaged Saudi Arabia’s economy and complicated the world’s recovery from the Great Recession. President Barack Obama (top) waves as he boards a plane at King Khalid International Airport following a US-Gulf Cooperation Council Summit in Riyadh, on April 21, 2016. There is even an explosive new issue: Whether Saudi Arabia supported the 9/11 terror attacks against the U.S. in 2001; a proposed bill in Congress would declassify details about the Saudi role, and allow victims’ relatives to file lawsuits against the Saudi government. The Saudis have threatened to sell their roughly $750 billion in U.S. Treasuries and other dollar-denominated assets if the bill becomes law, according to The New York Times. Related: Could Saudi Arabia Trigger an American Debt Crisis? Still, one issue looms larger than all of those: Iran’s nuclear deal signed last July with the U.S. and Europe, which ended many Western sanctions against Iran and could draw Washington closer to the Saudis’ arch enemy and rival—a rivalry that has impacted the entire Middle East since the Iranian Revolution in 1979 brought conservative Shiite mullahs to power. The nuclear deal with Iran could fundamentally transform the U.S.-Saudi relationship. “We are talking about a marriage in which there is a considerable amount of bickering. The two sides are attempting to restore a measure of public peace, even if they continue to quarrel behind the scenes.” – Charles W. Freeman, former U.S. ambassador to Saudi Arabia, on CNN. But the public optics were not good in Riyadh. At stake for each leader are needs—from military engagement to human rights commitments—which they might simply not be able to obtain. On Thursday, Obama said he had promised both King Salman and the Gulf leaders he met with at the region’s Gulf Cooperation Council that he would keep close tabs on Iran, watching whether the world’s biggest Shiite power uses its new billions in Western investment to flex its military muscle. Obama told reporters on Thursday that he had pushed the Gulf countries’ leaders in his closed-door meetings to participate more in the U.S.-led bombing campaign against ISIS in Syria and Iraq. For months, U.S. officials have grown increasingly irritated at having been drawn into the war against ISIS while Saudi Arabia is backing jihadist rebel movements in the Syrian conflict. Saudi rulers adhere to the hardline Wahhabist strain of Islam, and the government devotes about 25% of Saudi Arabia’s budget to military spending, much of it buying U.S. fighter jets, missile systems, and other hardware. Arab leaders have remain relatively removed from the bombing campaign against ISIS, preferring to let the world’s most powerful military force take the lead; American jets have pounded ISIS positions for months, decimating the terror group’s hold on key positions of Syria, and obliterating key oil installations, which had brought it huge revenues. “Free riders aggravate me,” President Obama said bluntly in an interview published last month in The Atlantic magazine. US President Barack Obama (R) shakes hands with Prince Faisal bin Bandar bin Abdelaziz al-Saud, Governor of Riyadh, as he arrives at King Khalid International Airport in the Saudi capital, on April 20, 2016. Then last year, Saudi Arabia launched a fierce war against Shiite Houthi rebels in neighboring Yemen, the Arab world’s poorest nation; the United Nations estimates that millions have lost their homes, and thousands have been killed. Much like the Syrian War, the Yemen conflict has embroiled the U.S. in a conflict that poses little obvious threat to America. And just like Syria, it risks inflaming anti-U.S. extremism in the region. U.S. intelligence has been key to pinpointing Saudi targets in Yemen, and Saudi bombs and jets are all American-made. US President Barack Obama delivers a speech following a US-Gulf Cooperation Council Summit in Riyadh, on April 21, 2016. Aside from the war against ISIS and Yemen’s rebels, the U.S. now also finds itself in the midst of a battle in the region over oil. Oil prices, which have rebounded in recent weeks but are still down 50% from 2014 highs, have pummeled the Saudi economy. In December, the Saudi government announced a budget deficit for 2015 of about $135 billion, which it filled largely by drawing down hundreds of millions of dollars of its foreign reserves. Much of those reserves are held in U.S. Treasury securities, which Saudi officials have threaten to dump if Congress passes the 9/11 bill. Economists believe that is unlikely, given Saudi Arabia’s fragile economy right now. That message has brought fury in Iran, whose economy has been battered by years of sanctions. 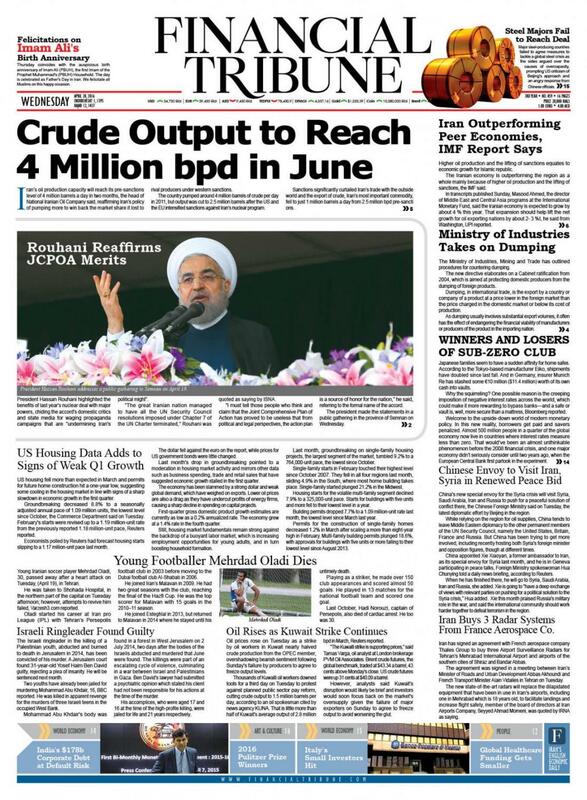 Just as Obama was meeting King Salman on Wednesday, the head of Iran’s National Oil Corporation announced that the country would produce four million barrels a day by June—nearly double its output under sanctions. The announcement made front-page news in Iran. There, oil revenues are seen not only as a way to kickstart the economy after years of sanctions, but also as a way of standing up to their Saudi rivals. There is no sign that the intense enmity between Iran and Saudi Arabia will end—perhaps explaining why U.S. officials said little about it publicly in Riyadh.